Trees not only add beauty to the environment, they can be used in a landscape to increase privacy and shade yards and homes. They also help filter the air, and provide wildlife with food and shelter. There are two main categories of trees, deciduous and coniferous. Deciduous trees, also called broadleaf trees, have leaves that fall off at some point during the year. 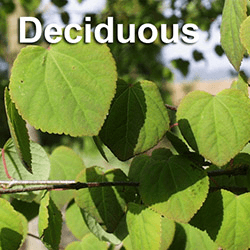 In fact, the word deciduous comes from Latin “deciduous” which means “to fall off.” In regions where there is a winter, the tree’s leaves will drop in autumn and grow back in the spring. In tropical zones, a deciduous tree will lose its leaves during the dry season and re-grow them during wetter periods. By losing its leaves (going dormant) the tree can more easily survive changes in the climate. A deciduous tree’s leaves are large and wide, which enable them to catch a significant amount of light. The tree typically spreads out as it grows. The shape of most deciduous trees is round compared to a coniferous tree. The size of deciduous trees varies according to the type, and can range from a few feet to over 100 feet. 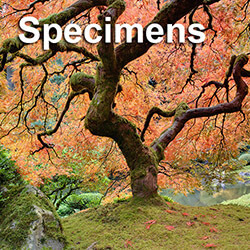 Examples of deciduous trees include maple, oak, dogwood and hickory trees. 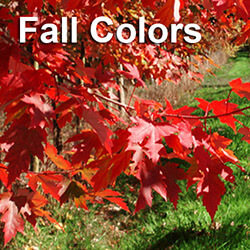 One of the most appealing characteristics of a deciduous tree is the change in leaf color before the leaves drop. The colors can range from yellow and orange to red and crimson. Some varieties of flowering trees, such as cherry trees and dogwoods, will also flower when they lose their leaves or re-start the leaf growing process. 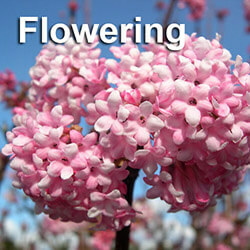 When a tree flowers without leaves, pollination is much easier. Deciduous trees generally grow best in nutrient-rich soil. Sufficient water is also an important factor when it comes to maintaining their health and vitality. Most deciduous trees will also need to be pruned to keep them in good shape. 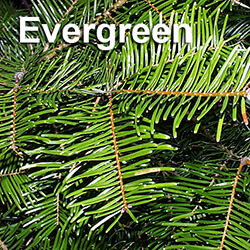 Coniferous trees (also known as evergreen trees) have leaves that remain on the tree all year long. The leaves are either needle-like or flat and scaled. The leaves only drop when they become old. The tree’s seeds grow in cones. 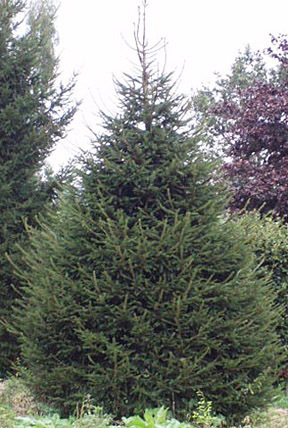 Coniferous trees also grow up instead of out, and generally have a triangular shape. Types of coniferous trees include firs, spruces and pines, such as the red pine, white spruce, black spruce, Norway spruce, red spruce, Eastern white pine and Douglas fir. Most coniferous trees are found in northern, colder regions. The tree’s needles have a wax-like coating that prevents the loss of moisture during winter months. The sturdiness and shape of the tree, along with its supple branches, also enables snow to slide easily to the ground. Because the tree does not lose its leaves, it can quickly resume food production once winter has passed. Similar to deciduous trees, coniferous trees can range in height from a few feet to over 100 feet high. 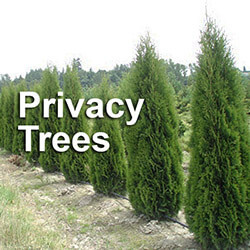 They are great as privacy trees. Many different species of deciduous and coniferous trees can grow in the Pacific Northwest. If you want to buy tree or big trees for your landscape, a big tree specialist or tree nurserys can help you chose the best tree for your environment and needs.